The 2018 Undergraduate Research Day with the School of Medicine and Dentistry brings in undergraduate juniors and seniors interested in the biomedical, translational, public health and/or biostatistical sciences. 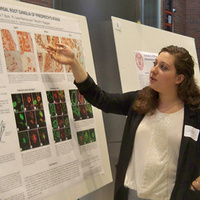 Students will talk science with current SMD faculty and graduate students, present posters of their research, tour the SMD and learn about graduate programs at the SMD. Details about the event can be found here.